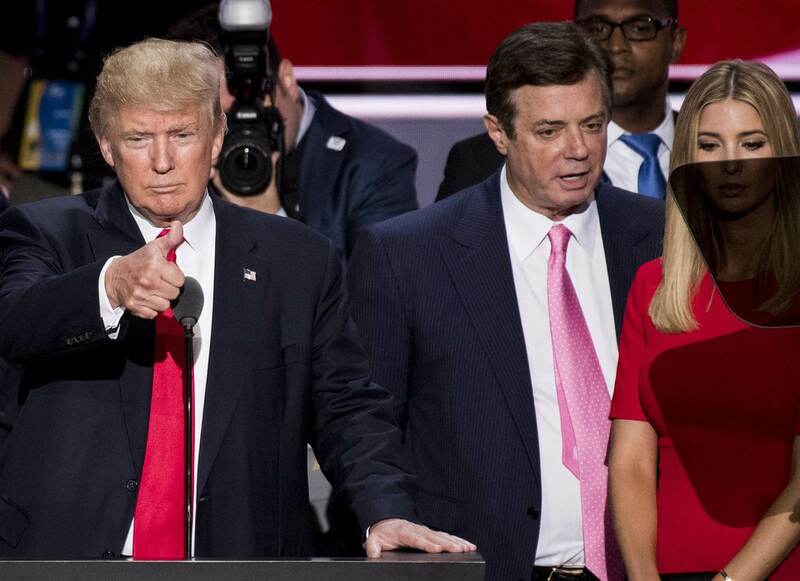 Former Trump campaign chairman Paul Manafort and associate Rick Gates were indicted last October by Robert Mueller for crimes including conspiracy "to defraud the United States." Mueller then expanded the charges this week in a new indictment. A former federal prosecutor described Manafort and Gates to the Washington Post as "extensive and bold and greedy with a capital G, but not all that sophisticated." One section of the indictment shows just how unsophisticated they were. Manafort emailed Gates a .pdf version of the real [document], which showed a loss of more than $600,000. Gates converted that .pdf into a “Word” document so that it could be edited, which Gates sent back to Manafort. Manafort altered that “Word” document by adding more than $3.5 million in income. He then sent this falsified [document] to Gates and asked that the “Word” document be converted back to a .pdf, which Gates did and returned to Manafort. Manafort then sent the falsified [document] to Lender D.
Manafort and Gates were attempting to secure some loans but decided to falsify their financial documents to try to get better terms. The original document was a PDF file which is not easily editable in that form. The financial document Manafort planned to submit needed to be in .pdf form but it appears that Manafort was not tech savvy enough to figure out how to convert and edit it. He decided to email it to his business partner, Gates, who converted it and sent it back. The two traded the document back and forth in various forms as they added their fake income and eventually submitted it. This incriminating paper trail was caused by Manafort's lack of basic technical skills and inability to do things on his own. While editing a PDF document certainly isn't trivial, anyone with elementary computer knowledge or access to Google should be able to do it. If you're committing international conspiracy and are working for a major presidential campaign, it may not be a bad idea to brush up on your computer skills.